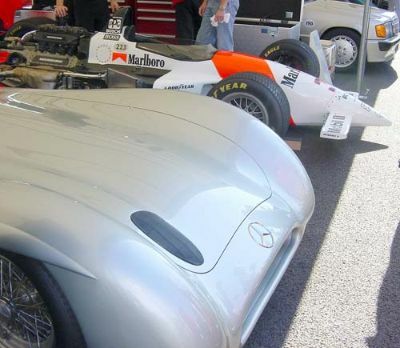 Mercedes Benz 'Silver Arrows' cars always spectacular to see running up the hill. 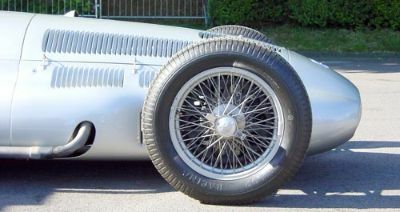 John Surtees ran this 1939 W154 up the hill. 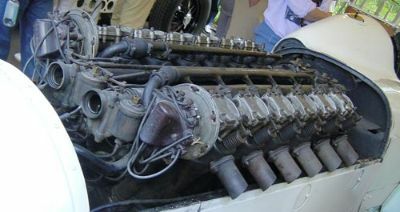 1954 Mercedes Benz W196 2.5 litre 8 cylinder. 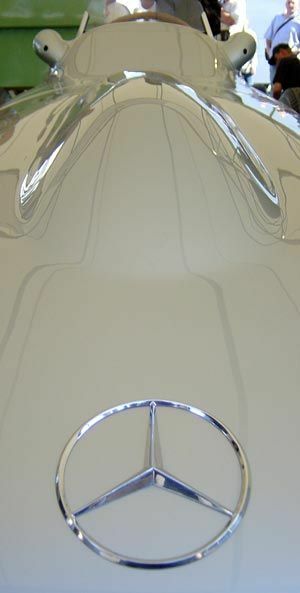 Mercedes Benz W196 Streamliner. 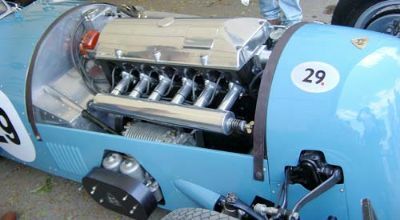 1954 2.5 litre 8 cylinder. 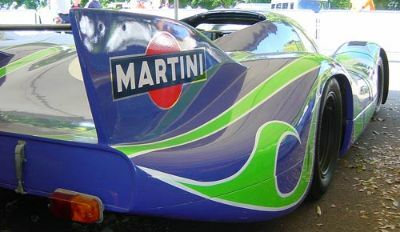 Driven by Stirling Moss up the hill at the Festival of Speed, 2004. 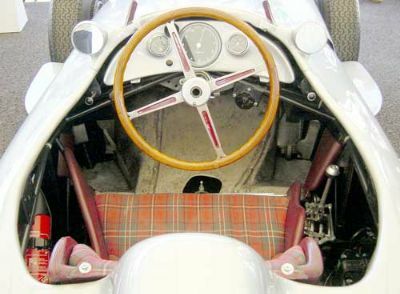 Note the 'slightly' off-set pedals on this W196. 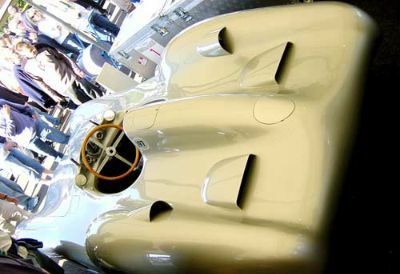 1954 W196 Streamliner sits next to the 1994 Penske-Mercedes PC23 - 2.65 litre turbo V8 Indy car. 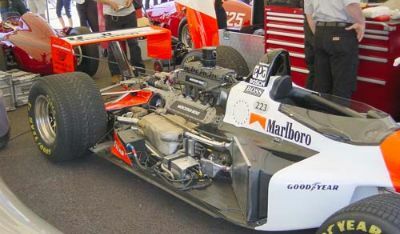 Emerson Fittipaldi drove it up the hill. 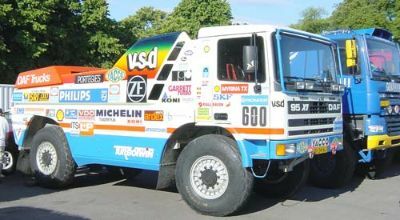 New this year were some of the Paris-Dakar entrants. 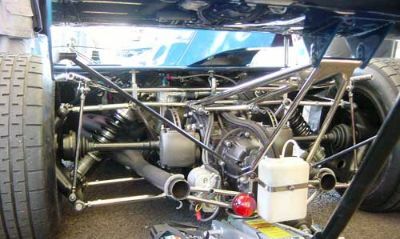 This DAF Turbo Twin is from 1987 - powered by TWO 11.6 litre turbo 6 cylinder engines. 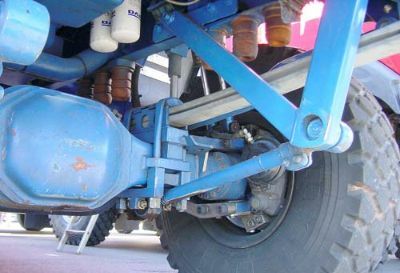 You could almost walk under these massive machines. 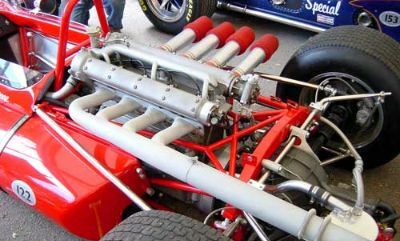 They towered above every other entrant on the hill, horns blazing! 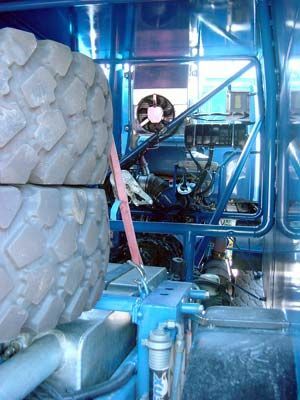 Looking inside the trucks shows that they are virtually empty, with the body work just an empty shell. 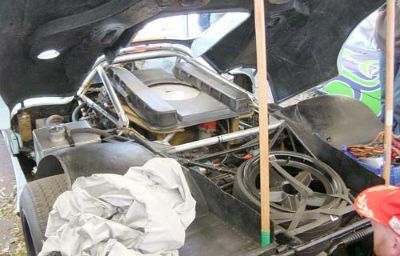 Spare wheels and much more equipment could probably be found in the back on the actual event. 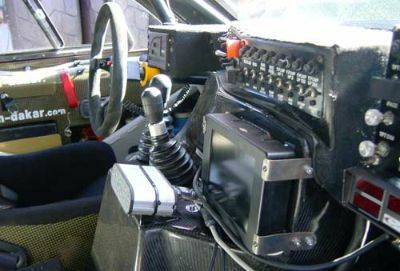 Looking inside a smaller Nissan Paris-Dakar vehicle shows just how much electronics is involved in the technology of the vehicle and navigation on the huge event. 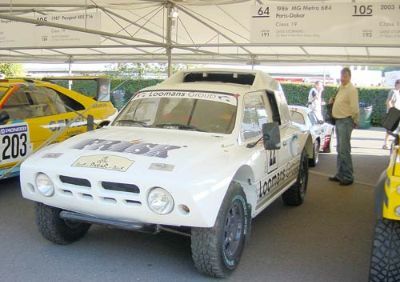 Believe it or not this is a Paris-Dakar car based on an MG Metro 6R4. 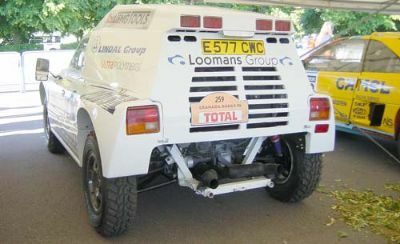 1986 3 litre V6 four wheel drive, based on the Group B rally car. 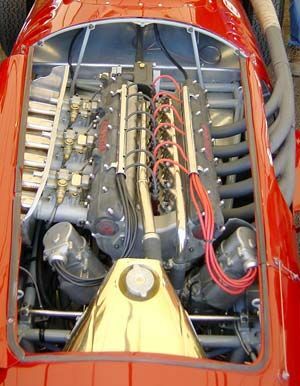 Just like Granny's shopping car!! 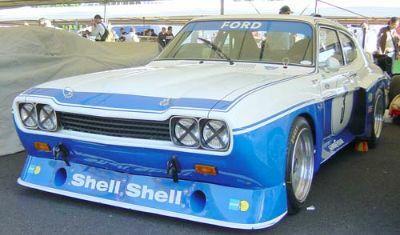 Classic Ford Capri RS 'Cologne' touring car. 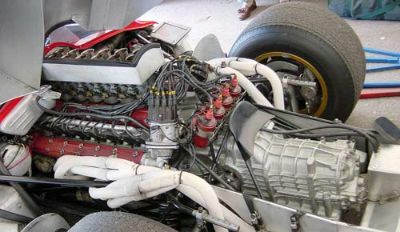 1974 3.1 litre, 455bhp Cosworth V6. 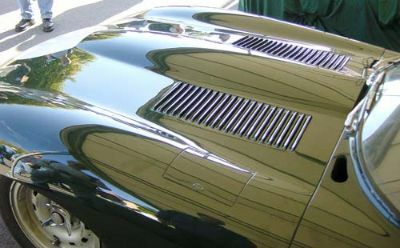 Beautiful lines of this Jaguar D-Type bonnet. 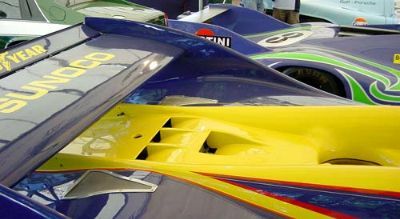 Gorgeous lines of this Porsche 917 LH. 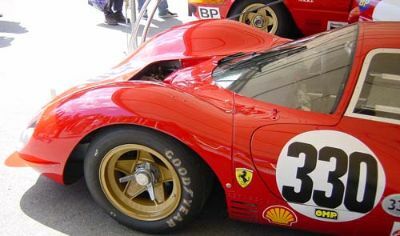 1970 4.5 litre flat 12. 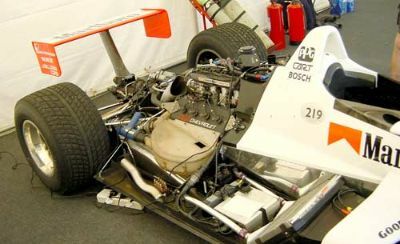 Next to it sits another 1973 Porsche 917/30 - with 1500bhp from its flat 12 this is one of the most powerful race cars ever. 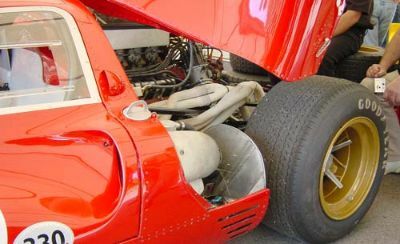 Was this space-saver spare tire really standard on this 1970 917K Gulf Porsche?! 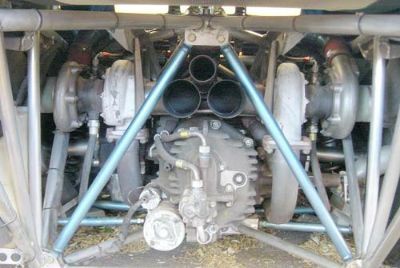 Pair of turbo's and big exhaust pipes under the spaceframe of the Gulf Porsche 917K. 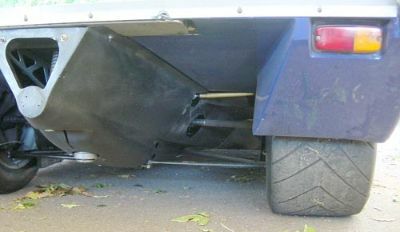 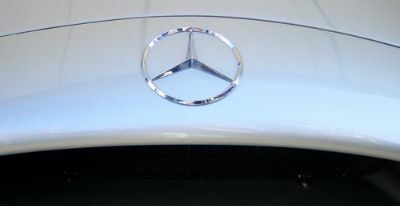 Compare the above to this later rudimentary diffuser and undertray on a slightly later car, and the hand-cut slicks. 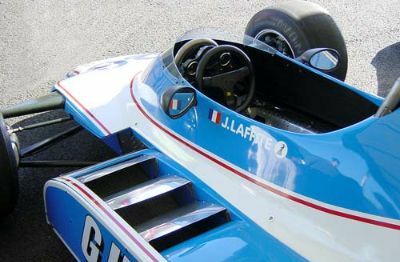 Jacques Laffite's 1980 Ligier-Cosworth JS11, 3 litre V8 F1 car. 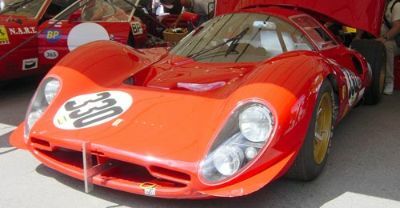 Jacques was at Goodwood to drive his old car up the hill. 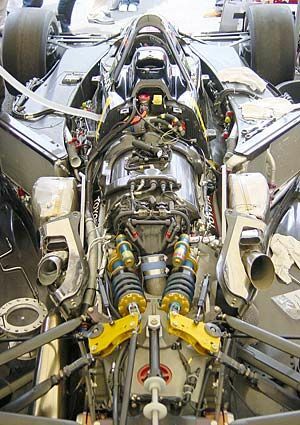 "Has anyone seen my Maglite torch?" 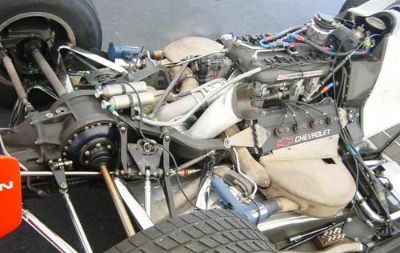 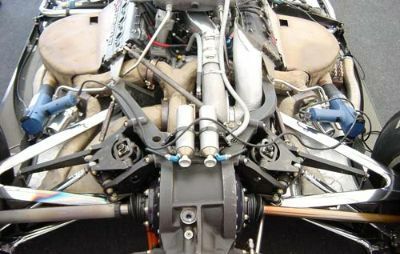 -great opportunity to look at the innards of this 2002 Lola-Toyota B2/200 Indy Car from the USA. 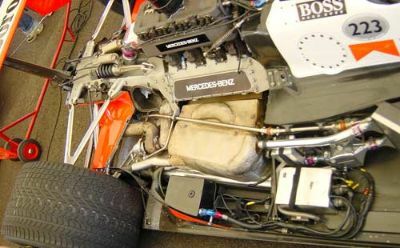 Looking under the rear of Jackie Stewart's Tyrrell-Cosworth 006 from 1973 at the 3 litre V8. 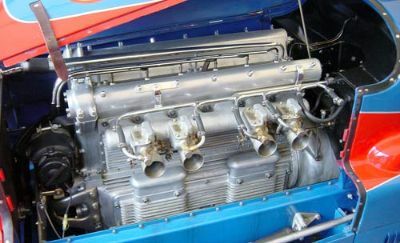 Massive 27 litre 6 cylinder aero engine from this 1926 Thomas Special 'Babs' which set a Land Speed record of 171mph on Pendine Sands. 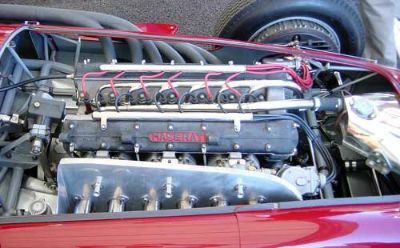 Another view of the Maserati 250F engine. 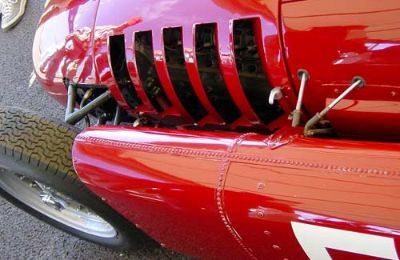 Some more glorious bodywork on a 1954 Lancia D50 A, 2.5 litre V8 with side pannier fuel tanks.